The 4th stakeholder seminar of the LIFE BaĦAR for N2K project was held at ERA premises on the 21st of November, 2017. The aim of the seminar was to inform stakeholders on the next steps, project outcomes after the final data analysis and to invite everyone on an open discussion on potential future conservation measures. 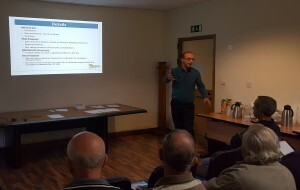 A comprehensive presentation on the process of identifying and designating new sites under the Natura 2000 network was given by Christopher Cousin from ERA. The presentation provided information on the required steps for identification and designation; introduced the areas within which the MPAs will be identified through the LIFE BaĦAR project; explained management considerations and the use of conservation measures. The floor was then opened for discussion. The stakeholders participated actively in the discussion and highlighted various issues of concern from their experience, in relation to the sustainable use of the marine environment, various conflicts between activities, and the ecological impact of certain activities. In conclusion, the stakeholders were invited to participate in the interviews being carried out under action A8, and to think about what could be done in practice to address the pressures and threats, indicating that ERA would be consulting the stakeholders again in future on potential measures. 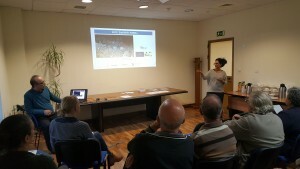 The seminar was attended by representatives from Nature Trust FEE Malta, Civil Protection Department, Wild Birds Regulation Unit, BirdLife Malta, Sharklab- Malta, Ghaqda Koperattiva tas-Sajd, Federation of Amateur Fishing Association, Marsaxlokk Artisinal Fishers, Fishing Trawlers Owners Association, Police Department and Transport Malta, as well as project partners and ERA staff.